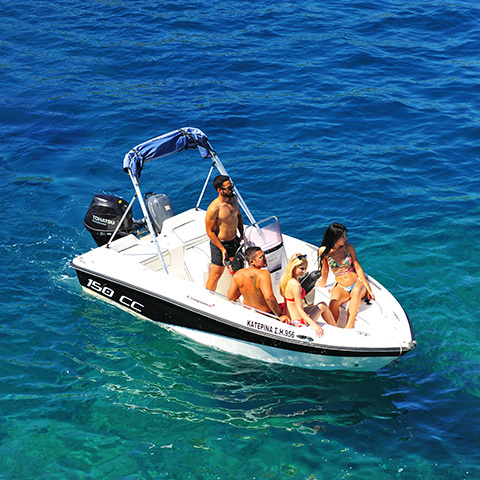 Experience the thrill of cruising your very own private speedboat while navigating along the superb Cretan coastline, and especially on Agia Pelagia’s bay. 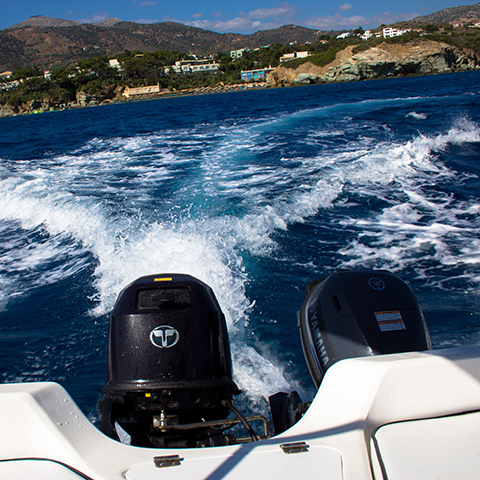 No license is required for our boats carrying a 30hp engine. 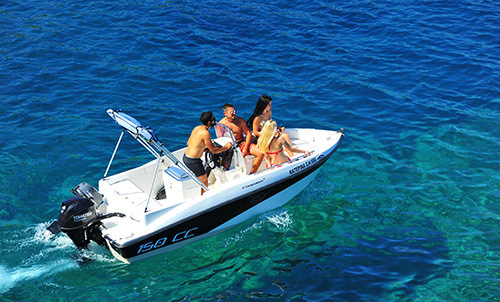 Crete Boats is located in Psaromoura beach in Agia Pelagia and it counts with the safest and most modern boat fleet. 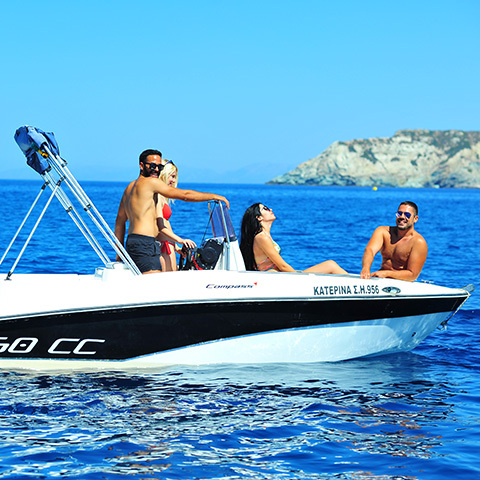 Crete Boats is one of the best choices to rent a boat on Crete. Agia Pelagia is a seaside fishing village built in the centre of a picturesque amphitheatric bay, 23 km northwest of Heraklion, the capital city of the island of Crete. The bay takes its name from the homonymous church in the Monastery of the Sebbathians which ruins are 1 km west of the village. 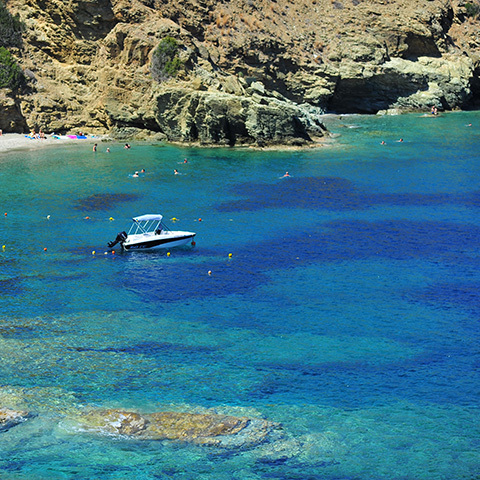 Agia Pelagia is a series of golden sandy beaches with crystal waters that attract many tourists every year. 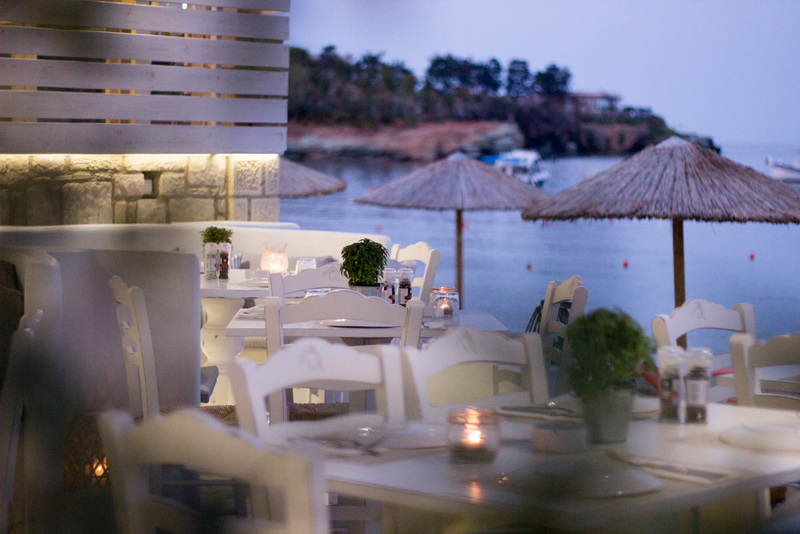 Along the coastline, visitors can enjoy different dishes of the delicious Cretan tradition in one of the many tavernas and restaurants of the area. All our boats have the option to book with a skipper. Here is a list of our cruises, ideal for families or friends. 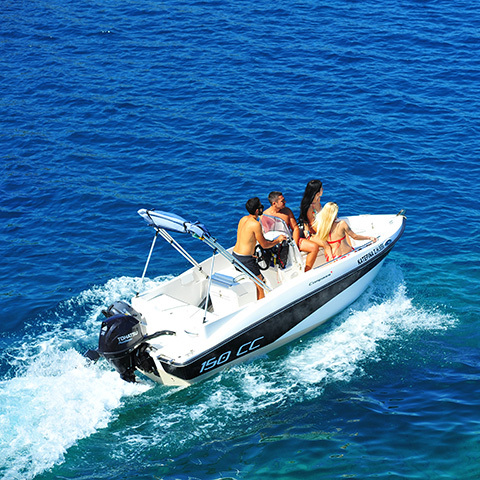 Even if you have never stepped on a boat before, there is no need to worry as our detailed briefing and easy-to-sail boats will make boating a fun and trouble-free experience. 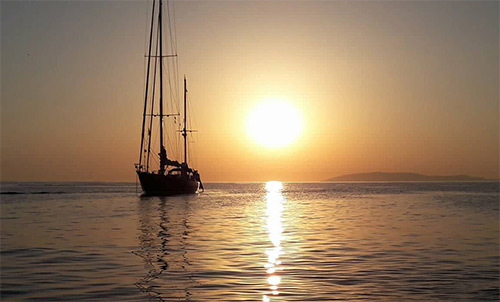 Enjoy a unique sailing experience in the Cretan Sea, visiting the area’s highlights. Admire the beauty of the magnificent Greek sunset which remains a unique snapshot opportunity impossible to find on land. Especially thought for families and friends, any group has the opportunity to enjoy the unforgettable experience of a fishing trip on Crete. Come and learn the secrets of Agia Pelagia's bay while discovering the crystal waters of Crete as well as the hidden spots where locals fish. 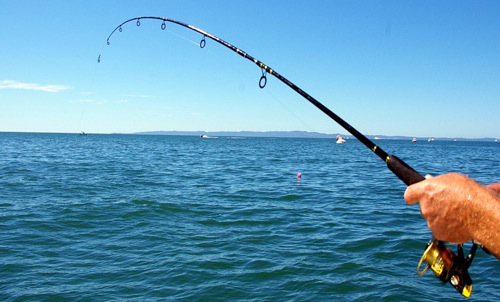 Enjoy fishing from our boats with the latest equipment while our experts guide you during the adventure. 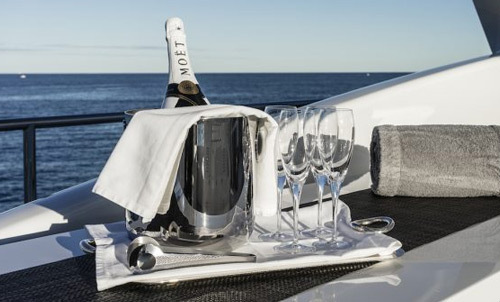 Create a magnificent afternoon by combining a unique experience while cruising yourself on one of our boats. Afterwards, savour a tasty dinner in our awarded sister property, “Alati Restaurant”, prepared by the renowned chef Petros Kosmadakis. Our restaurant Alati serves modern Mediterranean food for lunch and dinner. The stylish menu combines perfectly with the beautiful views of Agia Pelagia Beach. Whether you prefer a light lunch or a Cretan dinner experience, the menu completes a perfect day on the beach. We have a comprehensive list of wines to go with it, as well as our choice of signature cocktails. 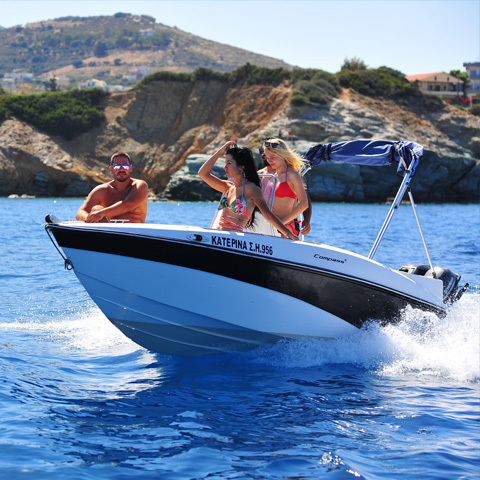 2019 © Crete Boats - Agia Pelagia. All rights reserved.